About US All across Long Island, water damage issues are among the most common claims residents make to their insurance companies every single year. Water can strike at any time year round, and the longer you wait the worse the damage from your flooded basement will get. You need a trusted partner that understands how to work quickly, efficiently, and navigate the complexities of Long Island. When you come to our team for help, you can rest assured that you are in experienced hands. With 20+ years’ experience rehabbing homes across Long Island, we’re in the business of getting you your life back fast. We can handle all sizes and scopes of jobs for water, fire, and mold cleanup, and will help you set your home up to stay secure for years to come. 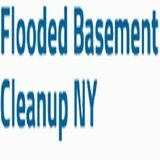 Emergency Service for Your Flooded Basement. All too often we get calls from residents who have been waiting on a different team to come address their flooded basement — many who are waiting days for even a response. We think that is downright criminal! Our team works round the clock to provide 24 hour emergency cleanup services for flooded basements, water damage, and any water restoration needs. We serve homes and businesses all over Long Island, to ensure you are never hung out to dry waiting for your water damage to be fixed.